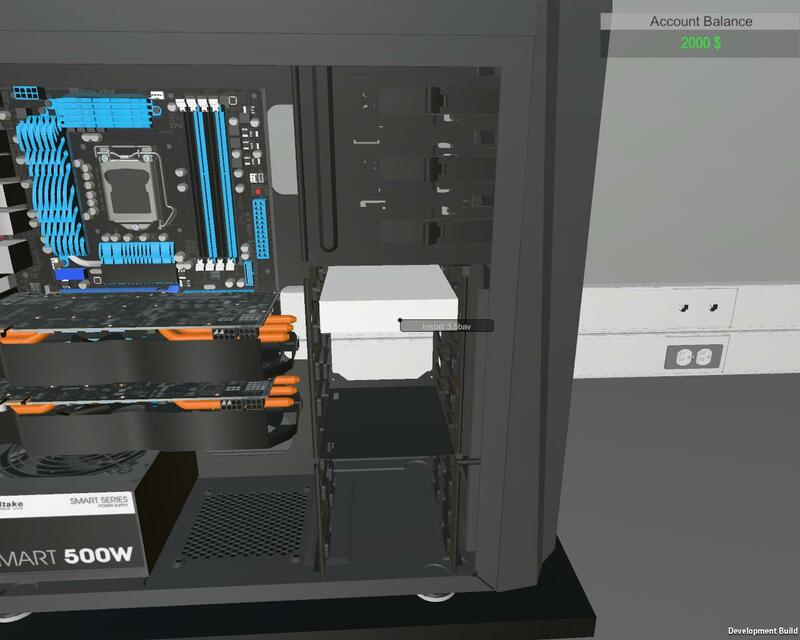 PC Building Simulator is a game about building PCs. 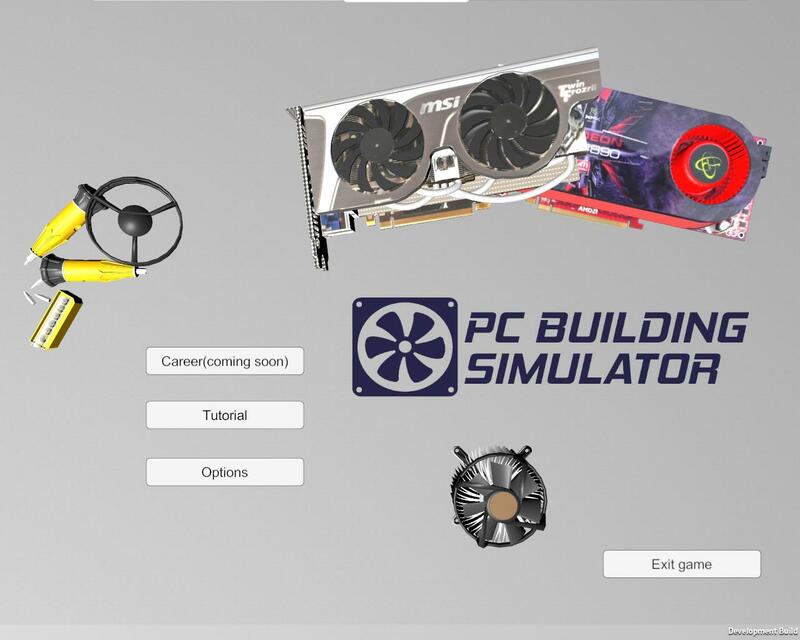 It is for those who want to practice this hobby, plan their next build or who want to learn about building PCs. 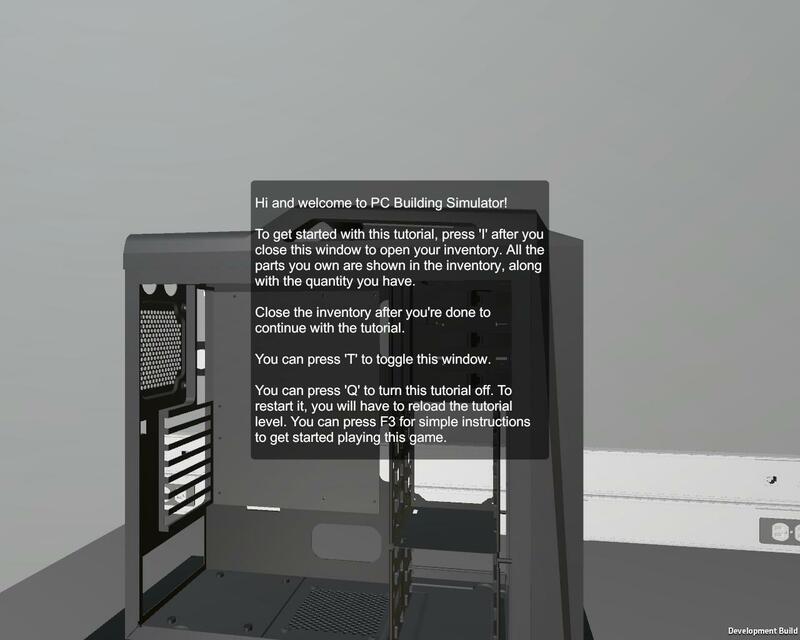 Big announcement today, I have release the pre-alpha version of PC Building Simulator, meant for testing everything out and finding bugs. You can see videos of the progress I made on the game on this playlist from newest to oldest. This is the last one, a short gameplay teaser of the game, so you know how it looks and works. - Preview build before starting to work on them in real life. I know some of the components don't make sense as choices today but I have mainly focused on getting everything to work and better and more numerous 3D models will come in the future. Feel free to leave here any suggestions you may have, things you'd like to see in the game in the future and any bugs you encounter. I will use these to improve future versions of the game and hopefully I will, at some point in the future, have a full game for everyone to enjoy. Here you can see the main menu with the options menu. At the moment you only have the option of playing the tutorial, but the career will be coming soon. The tutorial is simply explained for everyone to understand and be able to follow it. There is visual representation for everything so it is easier for you do know what you are doing. 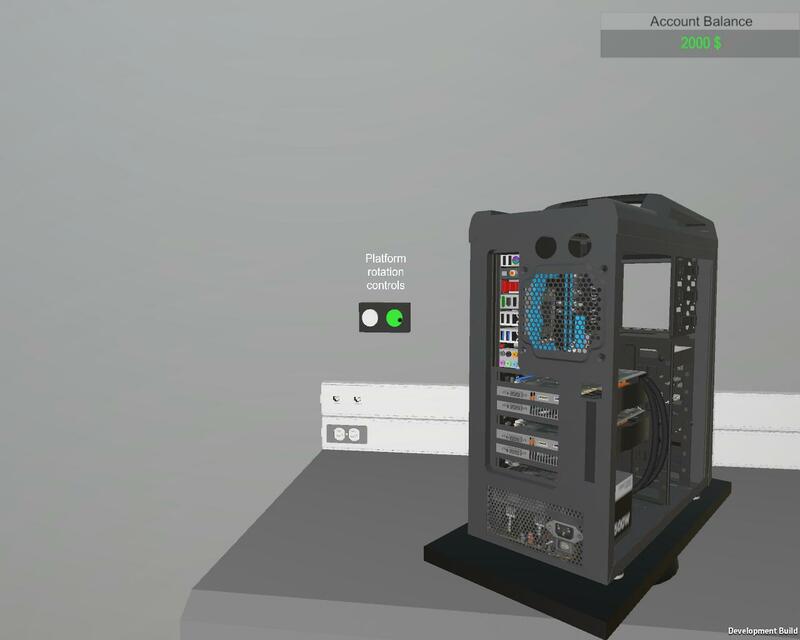 The platform has controls so you can spin it around to see every part of the computer. The current state of the game and how long it will take for the demo to release. A new cabling system has been implemented in the game. Fps boost mod. Imposible 13 to 40-60 fps. Easy setup, nice working. purpose: The room is too small to jump, but hey why not? that thumbnail...: I have deadlines. Is that you on the thumnail? : Na. I really love this game and I think if you bring more attention to it by adding big brand parts such and have a competitive mode where you could vs other players from around the world, there would be a budget depending on how hard the difficulty is then they must purchase parts for that price in the shop, the parts will be changed each round to make it fair to prevent a single strategy, after this they will get benchmarked, this will be done online, then the winner will receive coins which I am hoping in the new furture will be able to by them a whole desk setup!!!!!! if you did this it would be open to a wider range of educational purposes, such as design, and more complicated variations including monitor building! If you could work on this in the near future it would be great! never the less this is a terrific game and I can see huge potential in this. I made a video! Hope this game reaches its final build! Couldn't resist making a video about this, really loving the simulator man keep it up!